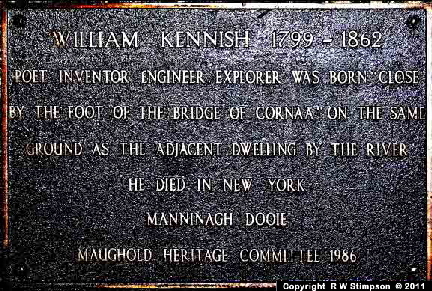 The Corrany bridge parapet wall plaque alongside William Kennish’s birthplace was unveiled in 1988 by Sir Charles Kerruish- Speaker of the House of Keys at the time and who went on to become the first President of Tynwald. 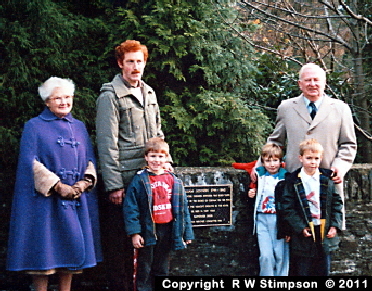 He is shown accompanied here by members of the Maughold Heritage Committee, Constance Radcliffe and Mr John Quayle with children Kewin Kerruish, Ramsey Craine (Sir Charles’ grandchildren) and James Franklin. 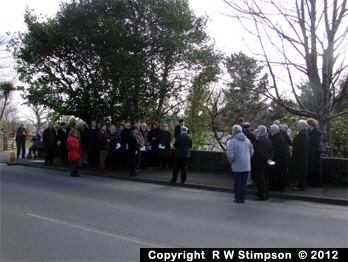 The original photograph was very kindly provided by Marinda Fargher, a Maughold Commissioner, Committee member and Dhoon resident. 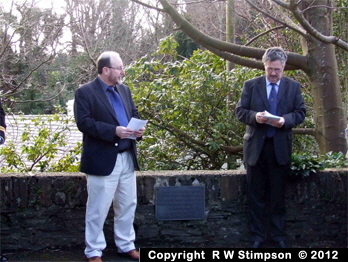 On 19th March 2012 a memorial ceremony was held to mark the 150th anniversary of William Kennish’s death, and this was attended by Hon Clare Christian MLC, President of Tynwald, who placed a wreath on the plaque, Hon Steve Rodan SHK Member of Garff and Speaker of the House of Keys. 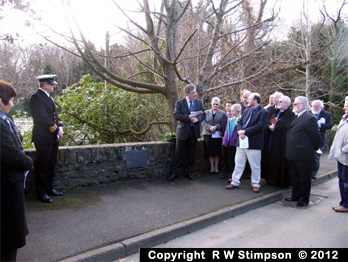 Proceeding were initiated by Mr Robert Moughtin of Maughold Commissioners and Bishop’s Missioner to the Dhoon Nigel Cretney said a brief dedication. 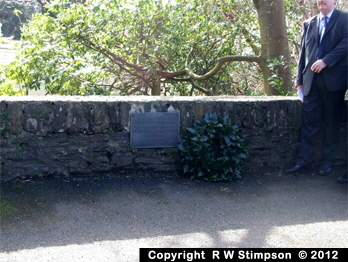 Royal Navy Lt. 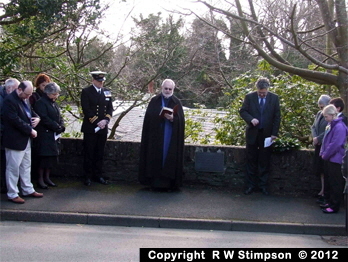 Commander Anthony Wylde RN also attended at the kind invitation of Madam President. 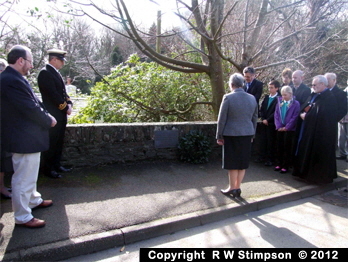 Mr James the head teacher and pupils from the Dhoon School also attended and other guests included Sir Miles Walker, Dr Brian Stowell, Mr Peter Kelly, Mr Martin Moore, Mr Charles Guard and Mr Edmund Southworth. 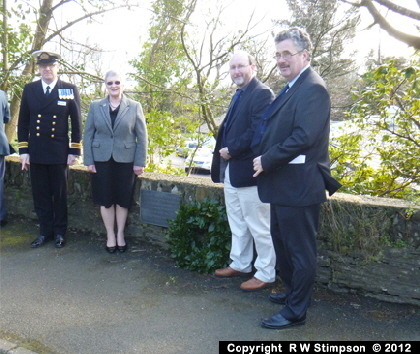 Lt. Cdr Tony Wylde RN, Hon Clare Christian MLC President of Tynwald, Bob Stimpson and Hon Steve Rodan SHC, Speaker of the House of Keys. 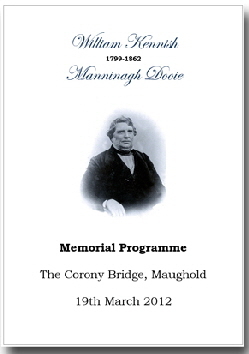 The front cover of the Memorial Programme given to those attending. 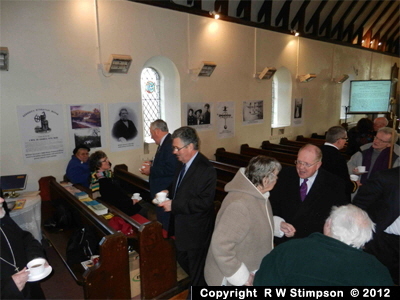 Views of the concluding reception organised by the ladies of the Isle of Man Victorian Society at Dhoon Church where maps, plans and other Kennish papers held by Bob Stimpson were on display. 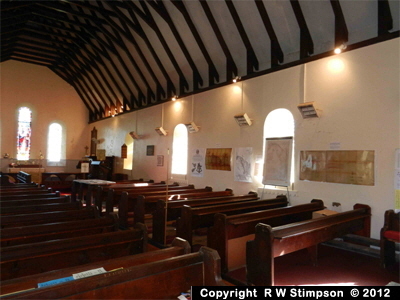 The film on William Kennish by Peter Maggs and the late Freddie Cowle was playing on the screen towards the altar at the back of the photographs.